The most interesting part of The Cloverfield Paradox might be the film’s release. Following the model of secrecy and subterfuge from producer J.J. Abrams, this was originally a script called God Particle by Oren Uziel (Shimmer Lake). It was reworked by Doug Jung (Star Trek Beyond) to meld it into the ongoing Cloverfield universe and directed by Julius Onah. It was originally scheduled for theatrical release in February, and then pushed back to April, and then it was scaled back to being released directly through Netflix. The first time the public saw a frame of this movie was during a high-profile Super Bowl spot that advertised it would be available for viewing as soon as the big game was over (the ad spot cost $4 million, or about one-sixth of the film’s modest budget). The Cloverfield Paradox is an intermittently entertaining film with some nice visuals, curious moments, and a bevy of good actors looking frantic and perplexed in space. It’s also a bit of a storytelling misfire and an underwhelming addition to the larger Cloverfield mythology. High in space, a team of scientists is testing a cutting-edge particle accelerator that, if functioning, will provide abundant and renewable power for an Earth that is plunged on the brink of a world war thanks to depleted energy resources. Hamilton (Gugu Mbatha-Raw) is one of the scientists and wondering if she will ever get back to Earth and see her husband again. Then one fateful day, the accelerator works but then goes on the fritz, slamming everyone around the station. When they come to, they realize that the Earth and moon are missing, and they are adrift. That’s not the last of the peculiarities. A woman (Elizabeth Dibecki) is found inside the station, connected to the wiring. Where did this woman come from, where are the scientists, and what happened to the Earth? 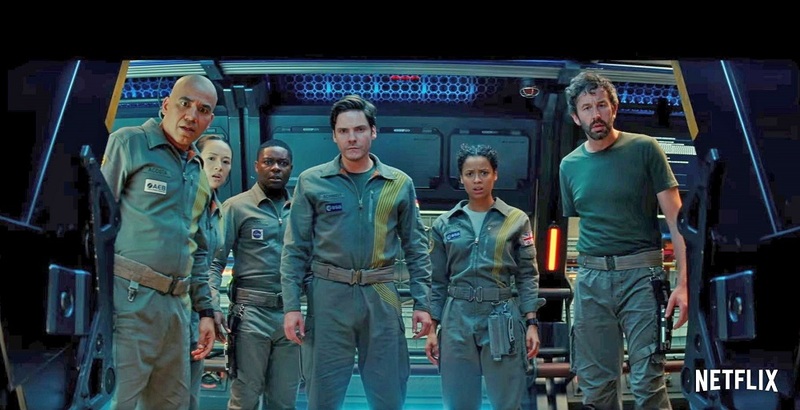 The Cloverfield Paradox is never going to be confused as great sci-fi, but it can be good enough depending upon the tastes of the individual viewer. The opening very succinctly establishes the stakes of the mission as well as the toll of the repeated failures. Once the station does its wonky thing and the Earth vanishes, that’s when it hooked me. Are they in a different part of the universe? Did they accidentally wipe out the Earth? These are pertinent and intriguing mysteries deserving of attention. The visuals in the movie are slick and well-lit by cinematographer Dan Mindel (Star Wars: Force Awakens), who ignores the old staple of the poorly lit space corridors throughout the film. The actors are all well-cast and provide the kind of performances that make you care enough. Mbatha-Raw (Black Mirror’s “San Junipero”) is a terrific lead. She’s strong, smart, but also given a tragic back-story that informs her decision-making when the weirdness hits. Dibecki (Guardians of the Galaxy vol. 2) is primarily directed to be a statuesque mystery. Chris O’Dowd (Molly’s Game) is the comic relief that doesn’t wear out his welcome. None of the characters do anything that stupid. It’s just enough that you might feel sorry for some of them when they eventually perish. There are workable elements throughout the movie that will hold your attention and curiosity. 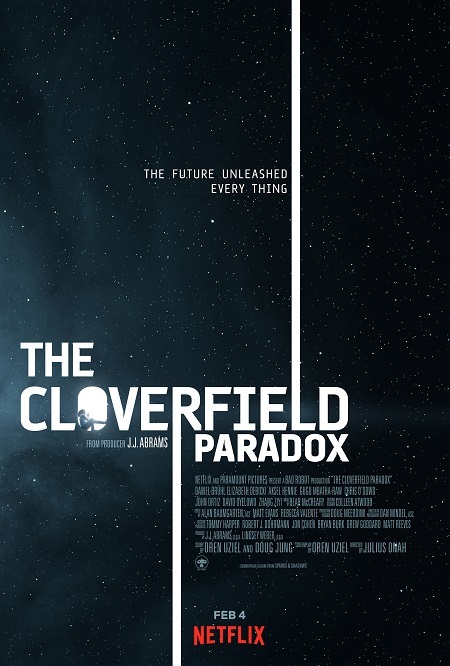 It’s shortly after its inciting incident of being mysteriously vanished that you start to realize the deeper story problems inherent with The Cloverfield Paradox. The central mystery (where are we? what happened to the Earth?) is enough of a hook but doesn’t allow for much in the way of a clear-cut throughline of how to uncover these answers. The clues that occur throughout the second act serve as almost random points of weirdness that rarely add up to anything significant. Little things like missing worms, the missing gyroscopic GPS drive, and a crawling arm serve as points of peculiarity, but they feel disconnected from anything else happening. It’s during this stretch of the film where the film feels like anything can happen and not in a good way. The strange occurrences don’t follow any rhyme or reason even after it’s revealed what is causing them. They just happen because, most likely, somebody thought it would be cool or unexpected. This will only get you so far in plotting unless to can tie events back to character. The resulting explanation is a shaky experiment-gone-wrong that plays out like an unmemorable Star Trek episode, with the crew discerning what their new reality is and why. If you read about the original screenplay, when it was called God Particle and unrelated to anything Cloverfield, there was a lot more hard sci-fi intrigue and a paranoia plot reminiscent of the breakdown in civility in the flawed but serviceable thriller It Comes at Night. It’s hard not to have the opinion that the original screenplay by Uziel was made more generic. The third act goes all-in on the action heroics and survival thrills, pitting characters against one another for the wellbeing of their homes. What once began as a trippy, reality-distorted sci-fi film becomes a lazy climax where one character stalks corridors and casually shoots people. It’s a conclusion that feels too expected and rote for all of the weirdness that transpired earlier. It’s not quite the steep crash that was the final act for Danny Boyle’s otherwise engaging 2007 film Sunshine, but it’s certainly a less interesting way to tie up your movie. There are some fun set pieces. O’Dowd interacting with his missing appendage is a funny almost buddy comedy. Some of the deaths are visually interesting as they make use of the cold vacuum of space in killer ways. There’s a nice climactic moment involving a character coming to terms with his or her personal grief that feels moderately earned though still facile enough to be unmovable. 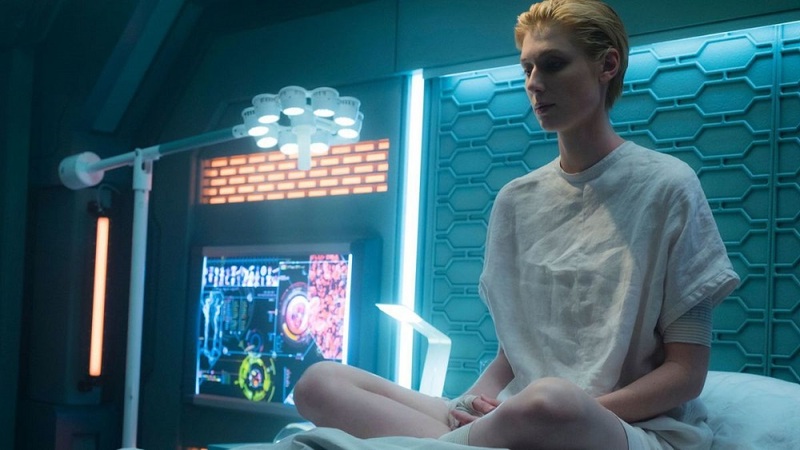 It feels like another in a series of checklists as far as what kind of character arcs, set pieces, twists and turns are to be expected from a mid-range sci-fi thriller. I thought last year’s Life did all of this better and with more style and nasty menace. If you’re going to watch a derivative space station thriller, at least make it one where the filmmakers have more of a plan from scene-to-scene and a genuine appreciation for their source material.